Written By: Bob Roberts Jr. If you want to know where and how the church is going to grow, think local and global. Think glocal.Glocal is Bob Roberts' term for the seamless connectedness between the local and global. That connection is affecting the church in ways that never could have been imagined in the first-century church, or even the twentieth-century church. And it's creating unprecedented opportunities for individuals and churches-for you and your church-to live out their faith in real time across the world.Glocalization offers a vision of the unprecedented changes of our times and how they are impacting the church. Discover how these changes will transform the way churches define their mission and how Christians relate to one another and to the world. 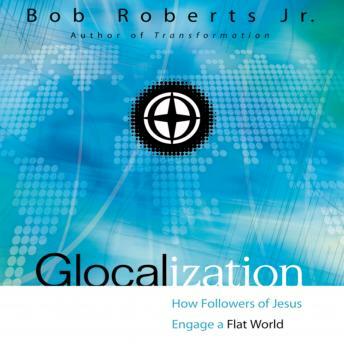 This provocative book turns the traditional mission-agency model upside down and shows how transformed people and churches can make a glocal (global and local) impact.Glocalization offers an exciting vision for churches and individuals who want to reach this changing world for Christ.